Total shipping : Free shipping! Black reinforcement strap allows you to secure the safety enclosure to the trampoline framework. Shipping starting at 4.99€ in France*. Shipped within 24h if ordered before 11 am. Delivery options: Mondial Relay, DPD, Colissimo et Chronopost. This product comes with a 6-month warranty. For accountancy questions, please contact our customer service department. For payments of over 150€, you will be asked for a 3-D secure code to verify the identity of the card bearer and validate the transaction. You can secure your trampoline's safety enclosure to its framework with this reinforcement strap, an excellent alternative to hooks. Setting up the strap is easy and will guarantee safety for the jumpers. 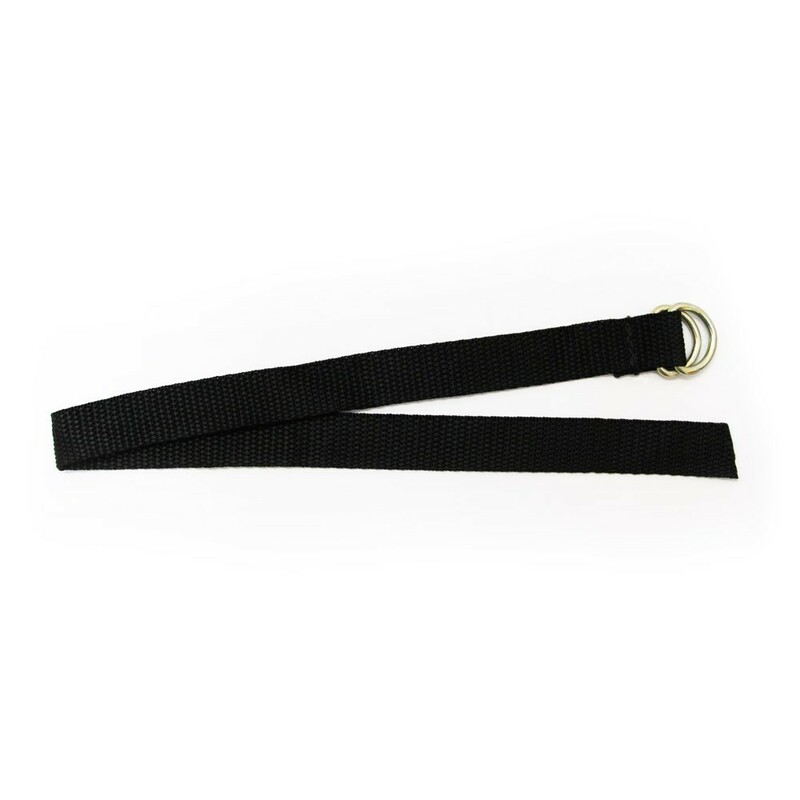 - Solid and resistant to corrosion: this strap is made of a strong polypropylene ribbon with 2 steel rings, that will resist to rust, placed on each end. - Easy to install: simply place the strap in the safety enclosure's fasteners then place it in the fixing bracket of the jumping mat and then tie it by pulling through the two rings. - Guaranteed safety: like the hooks, this strap allows to secure the safety enclosure underneath the jumping mat. This fixing method leaves no space between the safety enclosure and the frame pad: there is no risk that a child gets their foot or hand caught in the gap. The straps are sold individually, allowing you to purchase as many as you find necessary. We will call you back at no charge and answer your questions.